Boosting brand awareness and increasing online engagement are both essential for success in business today. With the advent of social media and the rise of smartphones, maximizing your reach online is a way to tap into a much larger audience in less time. 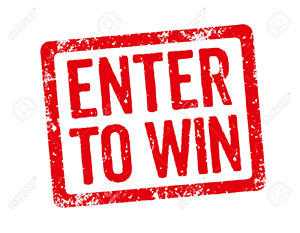 Launching a contest or giveaway provides you with new opportunity to appeal to followers and prospective customers on your official website as well as top social media platforms. Knowing how to put contests and giveaways to work for your brand is essential to stand out from the competition while providing new users with an incentive to learn more about your business. Do you want to launch an image-heavy contest or giveaway, or are you looking to share video media? Is it important to you to observe and review results with in-depth analytics? Because not all contests and giveaways are the same, consider the type of event you want to host before choosing which social media platform is right for you. Facebook is an ideal platform to launch a contest or giveaway as it allows you to pinpoint a set target audience or demographic you want to reach. Facebook offers in-depth analytic reports for each advertisement or sponsored post you run, providing in-depth insights into which type of promotion appeals most to your audience. Additionally, Facebook has become a top contender for brands using video and live streaming feeds, making it one of the most versatile social networks. Although Facebook owns Instagram, Instagram's marketing platform is entirely different than Facebook's. Use Instagram to share attractive imagery and eye-catching videos, boosting brand awareness and attracting new followers to increase engagement. Instagram's base skews younger, which makes it a suitable choice for brands that target users between the ages of 18 and 24. Twitter is a great way to gain traction with contest or giveaway hashtags you are using with your promotion. Use Twitter to engage with other brands and online influencers who are relevant to your business and your products or services. Twitter is ideal to share links and to engage users without bombarding followers with sponsored ads and updates. How many entries are allowed for each person interested in participating in your contest? Is it possible to gain additional entries each day? How long is the contest running for, and when is the deadline for submissions or entries? Set the rules of your planned promotion before sharing information on your website or social media. Clearly defined rules are essential to avoid mix-ups and negative press should anything go wrong during the contest. Create an official page or post including the rules for the contest that is easily accessible to users who want to participate. In order to build brand awareness and engagement, requiring users to participate in your contest with social media is a must. Require participants of your contest or giveaway to "like" and share your promotion in order to qualify for any prize you plan to give. Posts with more "likes" and shares are viewed more often and considered more trustworthy by users who are unfamiliar with your brand. Encourage users to engage with your campaign to maximize your online visibility throughout the duration of your contest. If you are looking to drive additional traffic to your website, create a special landing page for the contest or giveaway you are planning. Customized landing pages boost a brand's professional appearance while also incentivize users to learn more about the business itself. Custom landing pages can include user comments, ratings, and even submissions you have already received to appeal to new visitors. Whether you are promoting a custom t-shirt company or want to share the professional services you offer, choosing the right prize is extremely important to appeal to your audience. Consider your target market's age, gender, and interests or hobbies. The more you know about your followers, the easier it is to relate to your audience while providing them prizes worth participating for during your promotion. Avoid overspending on prizes and eating away at your budget by learning more about what users who follow your brand are truly interested in. Building a new business from the ground up requires commitment and dedication to better understanding your target audience. With the use of contests and giveaways, promote your products and services while maintaining the interest of your current followers and new prospective shoppers. For more small business digital marketing tips we recommend checking out the AddMe digital marketing blog.